The statistic displays the capacity utilization of the football stadiums of the first Bundesliga clubs in Germany in 2018/19. After nineteen days of matches the FC Bayern Munich stadiums were all fully booked. 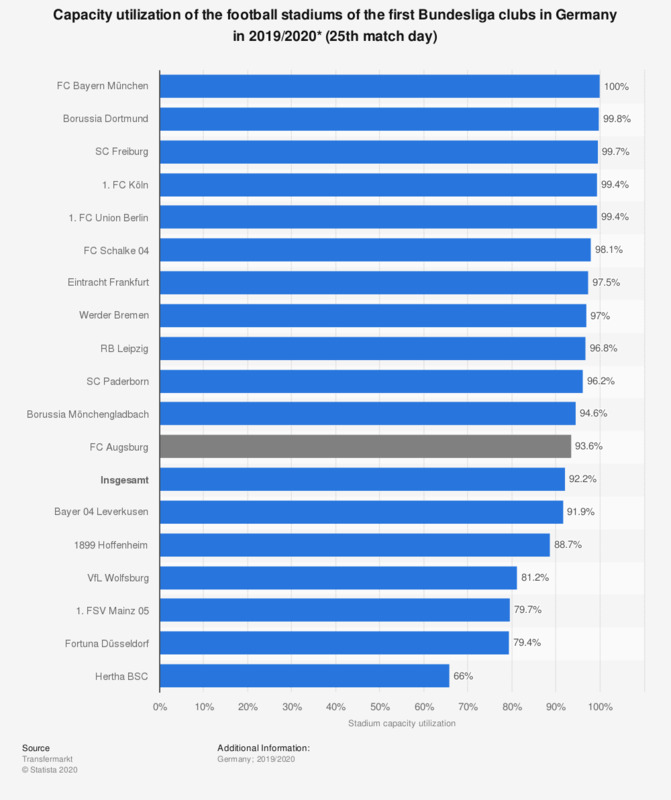 By comparison, Hertha BSC had a stadium utilization of 65.9 percent, making the Berlin stadium the least utilized out of all Bundesliga club stadiums. * As of the 19th match day.